Keep your Green Gorilla sprayer charged and functioning with our selection of parts. Replacing broken or worn parts will greatly extend the life of your sprayer, saving you time and money. From valves to chargers, DoMyOwn’s selection of Green Gorilla sprayer parts will get your sprayer working again in no time. 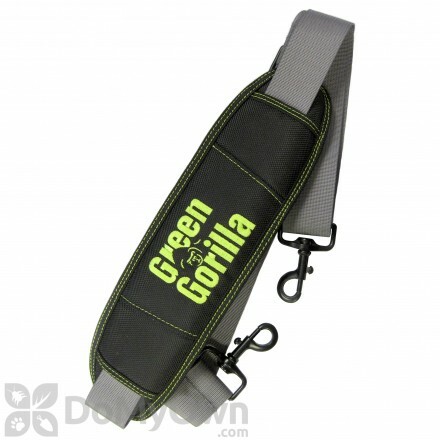 Comfortable padded shoulder strap supports the Green Gorilla tank while you spray. 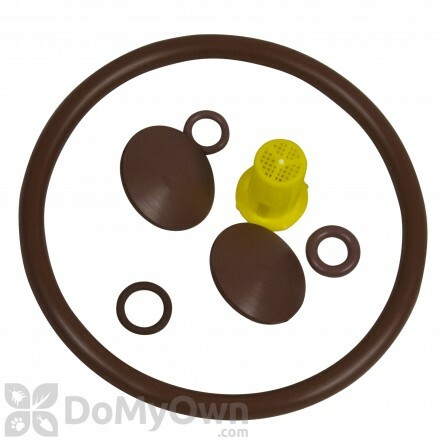 An O-ring repair kit for the pump and connectors that fits all Green Gorilla Pest Control System tanks. 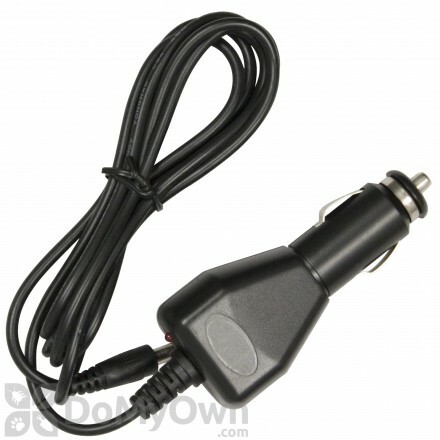 A car charger that is convenient to keep the Green Gorilla Power Pack V charged inside the vehicle. Rechargeable lithium ion power pack. Compatible with all Green Gorilla ProLine advance spray systems. Fan tip attaches to all Green Gorilla wands for a wide spray pattern. Strainer shutoff provides additional "no-drip" protection. A comfortable padded shoulder strap that supports the Green Gorilla professional advanced spray system tanks for spraying. Replacement wand holder for Green Gorilla ProLine Tanks. Green Gorilla ProLine sprayers pest control replacement hose. A 48 inch replacement hose that fits all Green Gorilla Pest Control System sprayer tanks and wands. O-Ring Repair kit for pump and connector. A manual air pump that fits all of the Green Gorilla ProLine pest control system sprayers. The Green Gorilla ProLine Vi sprayer redefines the battery powered sprayer. The Green Gorilla ProLine Vi Pro System uses Smart Pressure Technology (SPTTM) packaged in a detachable, rechargeable, lithium ion power pack which electronically pressurizes and maintains the air pressure in the tank. Due to the latest power density technology, the lithium ion power cells are maximized when air is pressurized in the tank. This leads to a full day of spraying with just one charge! Using a traditional hand pump sprayer in and around your property can become tiresome and exhausting. The Green Gorilla Proline Sprayer changes that. It uses its Smart Pressure Technology (SPT™) to precisely control pressure automatically, eliminating manual pumping. The Smart Pressure Technology uses a microprocessor, combined with a compact compressor and pressure sensor, to consistently maintain the pressure of the tank. The PowerPack attaches to the side of the tank with a simple push and click. Once it is in place, all you have to do is power it on. The compressor will then start to pressurize the tank for you. It charges the headspace in the tank, meaning the empty space between the fluid and the top of the tank. It does not charge the fluid from the bottom of the tank like traditional Battery powered sprayers. With a traditional sprayer, one pump usually equals one PSI or pound per square inch. Most manual sprayers can only be pumped up to 14 to 16 psi. Once that pressure drops, the flow rate starts to drop as well. This means inconsistant spray patterns. It also means the amount of product will vary will spraying. The Green Gorilla keeps a constant pressure of around 20 PSI; delivering a constant flow rate and consistent spray pattern. To remove the PowerPack, rotate the knob, then lift up and out. The pressure in the tank at the time the pack is removed is maintained. If you want to release pressure from the tank, remove the battery, revealing the red pressure release valve. Push the valve in, allowing for the pressure to be relieved. Charge time on the PowerPack is three to five hours; depending on how much it is used. The indicator light on top of the PowerPack shows how much charge you have. One charge can last for a full day of spraying. 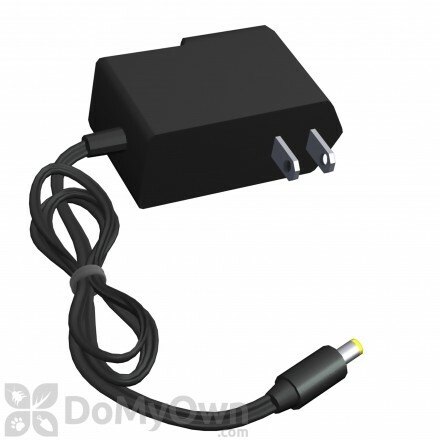 The indicator light on the charger will change from red to green when the pack is fully charged. 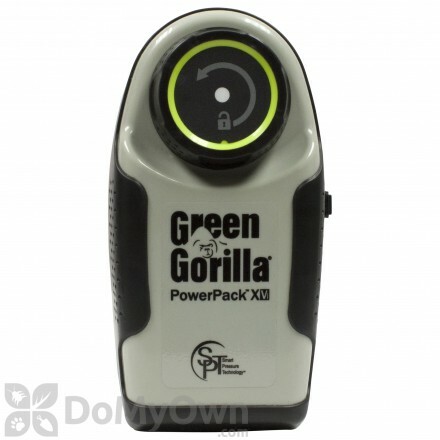 The Green Gorilla Proline comes with an adjustable fan to cone spray tip. The hose allows for other manufacturer wands or spray handles to be attached, allowing for customization to fit your personal preference. And it’s that easy with the expert help from Do My Own Pest Control dot com! Subscribe to our channel for more DIY and product videos! This video addresses how to properly take the Power Pack on and off the Green Gorilla Pro Line Sprayer. Using a traditional hand pump sprayer in and around your property can become tiresome and exhausting. The Green Gorilla Proline Sprayer changes that. It uses its Smart Pressure Technology (SPT ™) to precisely control pressure automatically eliminating manual pumping. The Smart Pressure Technology uses a microprocessor combined with a compact compressor and pressure sensor, to consistently maintain the pressure of the tank. The PowerPack attaches to the side of the tank with a simple push and click. Once it is in place, all you have to do is power it on. The compressor will then start to pressurize the tank for you. It charges the headspace in the tank, meaning the empty space between the fluid and the top of the tank. It does not charge the fluid from the bottom of the tank like traditional battery powered sprayers. With a traditional sprayer, one pump usually equals one PSI or pound per square inch. Most manual sprayers can only be pumped to 16 psi. Once that pressure drops, the flow rate starts to drop as well. This means inconsistent spray patterns. It also means the amount of amount of product will vary while spraying. The Green Gorilla keeps a constant pressure af around 20 PSI, delivering a constant flow rate and consistent spray pattern. The Green Gorilla pump keeps up with about 2 liters a minute of flow rate. To remove the PowerPack, rotate the knob, then lift up and out. The pressure in the tank at the time the pack is removed is maintained. Once pressure loss is detected, re-attach the PowerPack to build it back up. YOu can also transfer the pump from tank to tank, without releasing pressure. 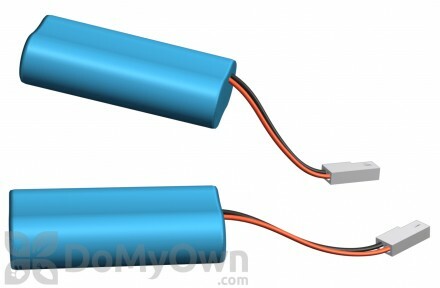 If you want to release pressure from the tank, remove the battery, revealing the red pressure release valve. Push the valve in, allowing for the pressure to be relieved. Charge time on the PowerPack is three to five hours depending on how much it is used. The indicator light on top of the PowerPack shows how much charge you have One charge can last for a full day of spraying. The indicator light on the charger will change from red to green when the pack is fully charged. The Green Gorilla Proline comes with an adjustable fan to come spray tip. The hose allows for other manufacturer wands or spray handles to be attached, allowing for customization to fit your personal preference. And it’s that easy with the expert help from Do My Own Pest Control dot com. Make sure to subscribe to our channel for more instructional and product videos.